Answering the market request for communication and intelligibility improvements, 3M introduces the EPIC 3-the smartest, most durable and safest voice amplification communication system in the market. The EPIC 3 audible and visual operational indications make this system the safest in the market, earning STI scores above .65 and providing louder, clearer and more effective communication than other voice amplifiers in the market. The EPIC 3 best-in-class battery life, at over 50 hours, more than doubles that of the most popular models in the market. Submitted for NFPA 1981 2013 approvals, the EPIC 3 passed the heat and flame test, high heat and fl ame test, radiant heat test and the 30-minute tumble test, and holds IP 66 and 67 ratings. 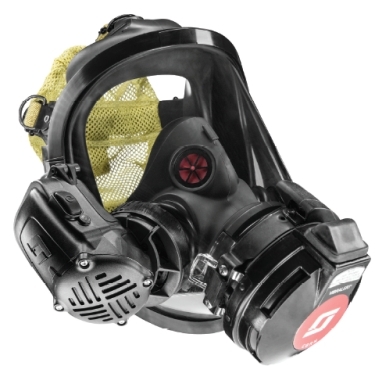 The EPIC 3 is backwards compatible to work with NFPA 1981, 2002 and 2007 SCBA.